DALLAS — A rendering by Norman Rockwell of one of his best known baseball-themed paintings has sold at auction for $1.6 million. 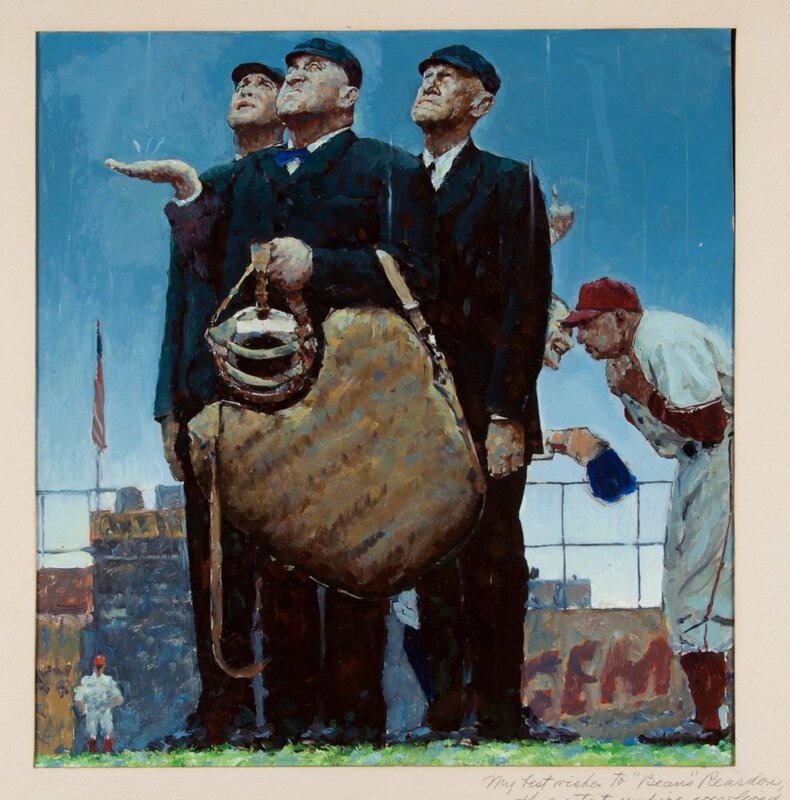 The painting depicts three umpires looking skyward pondering whether to call a game because of rain. It’s arguably the most recognizable of his baseball-themed works. Heritage Auctions said the painting sold Sunday in Dallas to a buyer who wants to remain anonymous.